I recently asked (okay, nagged!) my husband (for the millionth time!) to share his experience living with me and all my green demands with Greenily readers. I know changing habits is hard, especially with your wife breathing down your neck! So, here it is – Rob’s blogging debut! Enjoy! 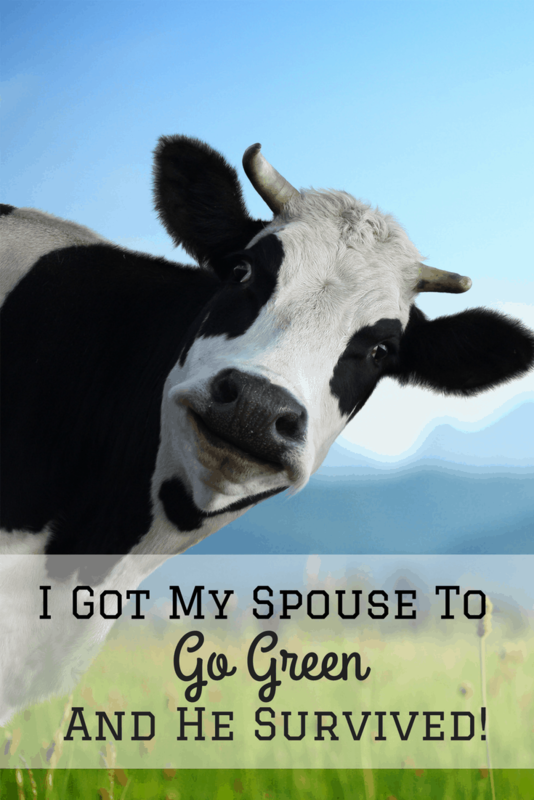 The exact date is a bit of a blur but it was several years ago that my wife announced we were going to “go green” and start living a green life. I initially thought she meant she had found a way to make a lot of money but I soon learned that was not what she was talking about. Darn! I rushed online and found a definition that helped me better understand what my future entailed…. 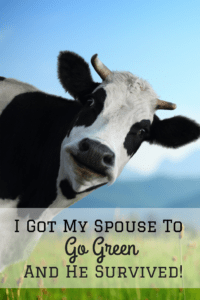 Going green and living a green life left me with so many really important questions…..
Do I get a bag or do I need to shove everything in my pockets and hope I am not mistaken for a shoplifter? When I am asked if I want a receipt do I say yes or no? Where did all the napkins go? Why doesn’t the cleaning stuff smell like bleach and why do I miss that smell? Which bin do chicken wing bones go in? What is that package made of and why do I need to know? Where did all the Styrofoam cups I borrowed from 7/11 go? Wait, you can get milk from a farm? They make a solar powered lawn mower? Recycled toilet paper? I don’t want to ask! To make things much worse, I am in the mortgage business. They say we have become more paperless but let’s just say I would not want to be a tree during a refinance boom! Smiled as my wife gathered paper products off strangers picnic tables to bring them home rather than risk them going into the trash. Laughed as I watched her dumpster diving in the school cafeteria to make sure items only go into the proper green team approved receptacles. We Live a Green Life! We are now a pretty green family and you know what, I think it’s cool. We recycle just about anything that can be recycled. We don’t use many paper products. We try to keep items out of landfills. I know, I still drive a big SUV but Rome was not built in a day! I honestly did not have much of a choice, but this journey has been fun and makes me feel great! I think every little bit helps!! 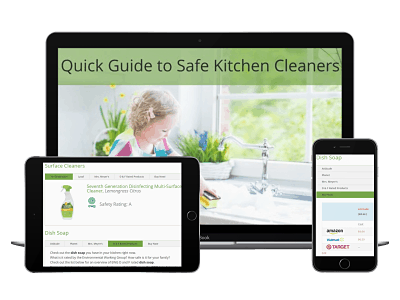 Thanks for checking out Greenily! Very proud of you guys, we do some recycling but to your extent. Don’t look in our cupboards where several rolls of paper towels stand and the Costco napkins and Puff’s are! We would surely fail the Green Test! we do use paper napkins and towels. Great picture of you and Pam! My husband and I haven’t reached your level yet, but we’re working on becoming greener too. Still need paper tissues and paper towels but trying to do my bit. Good for you! We are doing much of the same. Cant wait untilyour wife looks into the green of going vegan! Welcome to my world brother! Good for you guys! Good job Rob, and you family! Maybe I’ll give it a try in Pennsylvania. Y’all would fit right in on the farm – Ha! All look awesome and good job Pam ! Well done Pam and Rob. Great article and reminder to be green! Ha – Rob I think your wife is my kindred spirit! 😉 Maybe I haven’t done any dumpster diving in public places, but I have taken things out of my in-laws trash and told them, “This is recyclable.” And I have taken things out of their recycling bin and said, “This is not.” Lol. I certainly have made a lot of changes in our household that were not necessarily fully embraced by my husband, but I have found that as the momentum grows, sometimes my husband pushes back, but sometimes he embraces and moves with it. I think that even though he didn’t start these changes, he actually feels really good about living a less harmful lifestyle, and I’ve even seen him take some small efforts on his own. Would you say you feel the same? Do you ever feel that it’s not just your wife pushing you to do certain things, but rather that you, at your core, are starting to accept and embrace a new lifestyle? Great blog, especially if you read it Rob’s New Jersey voice!